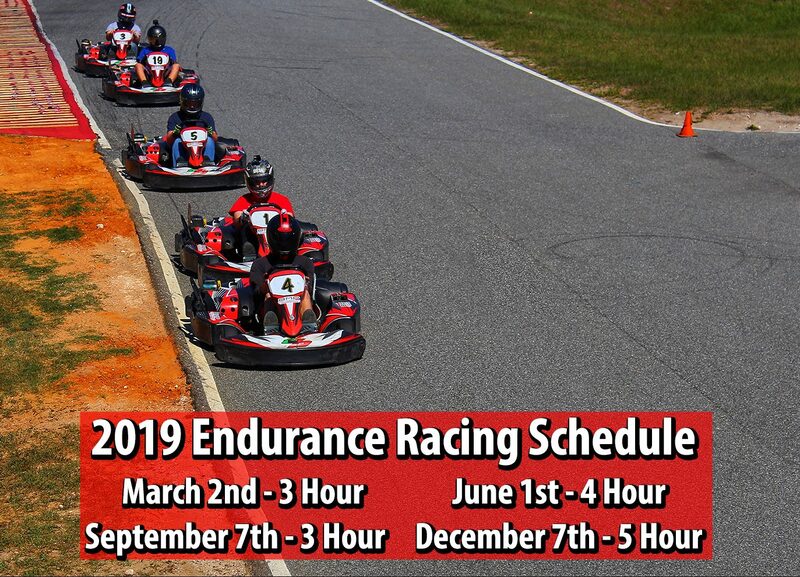 Announcing the 2019 Endurance Races at BMP! You won’t want to miss this! These are teamed events (1-4 racers per team) using the high-speed rental karts prepared by BMP where pit stops and driver changes all play into the strategy of this action-packed race. We provide everything you need to win, you just show up! Race package includes headsocks, helmets, go karts, a 40-minute practice session, the Endurance Race, and awards. Limited spots available! These events sell out so don’t wait! Once your team is signed up with your team and racer names, each team member will receive a coupon for 10% off a purchase the Saturday and Sunday before each race. 40-Minute Practice/Qualifying Session. All laps count towards starting position. Endurance Race – Standing Start. Grid is set by best lap times from P/Q Session. 4 Racers max per team. Drivers will be weighted to 200lbs or max amount of weight in the box. Kart Swap each time a team pits. Throughout the 2019 season, Driver Points will be awarded for each race event, counting towards a year end Endurance Race Champion. Drivers must compete in 3 of the 4 races to qualify for Season End Awards (all 4 races will count towards points, no drops). Drivers may switch around amongst teams. Each team member must drive 15 minutes in each race.